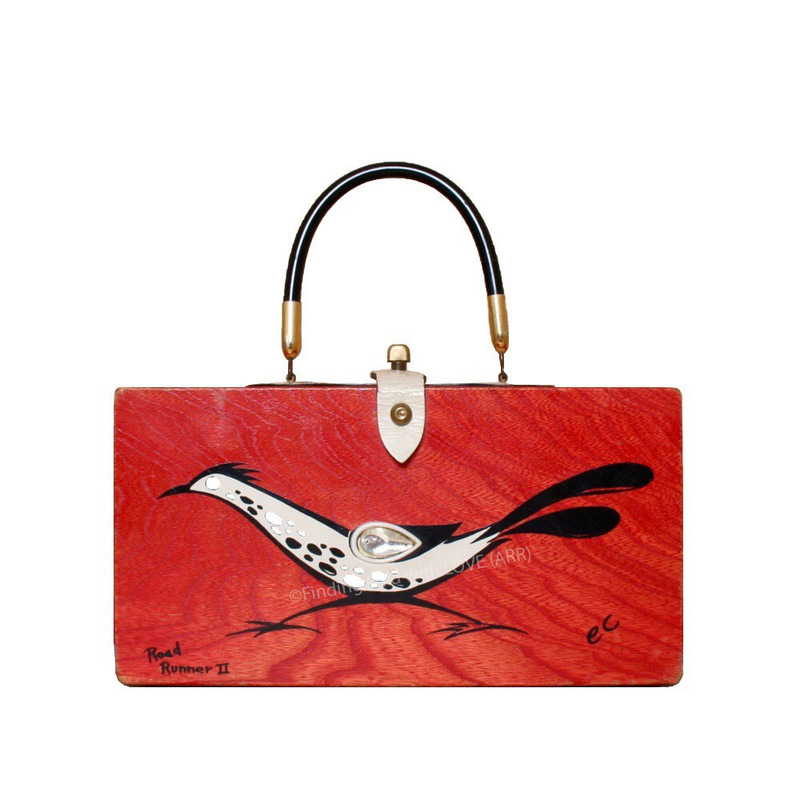 Box purse in a vivid red stain featuring a serigraph of a white roadrunner outlined in black and embellished with faux jewels in Crystal. "Road Runner II" serigraph in hand-script printed style appears in lower left corner. Prob. reg. no. GP43252; 05/12/1964; "Stylized bird"